The holders shown here all fit the iPad Air (5th Generation iPad). S/BIPDA. This holder for the iPad Air enables secure connection to a DaeSSy Quick Release Base on..
T/BIPDA. 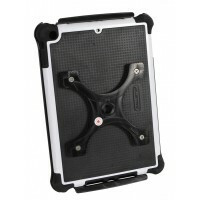 This holder for the iPad Air enables secure connection to a DaeSSy Quick Release Base on..
GSTIPDA: This holder for the iPad Air enables secure connection to a DaeSSy Quick Release Base on..